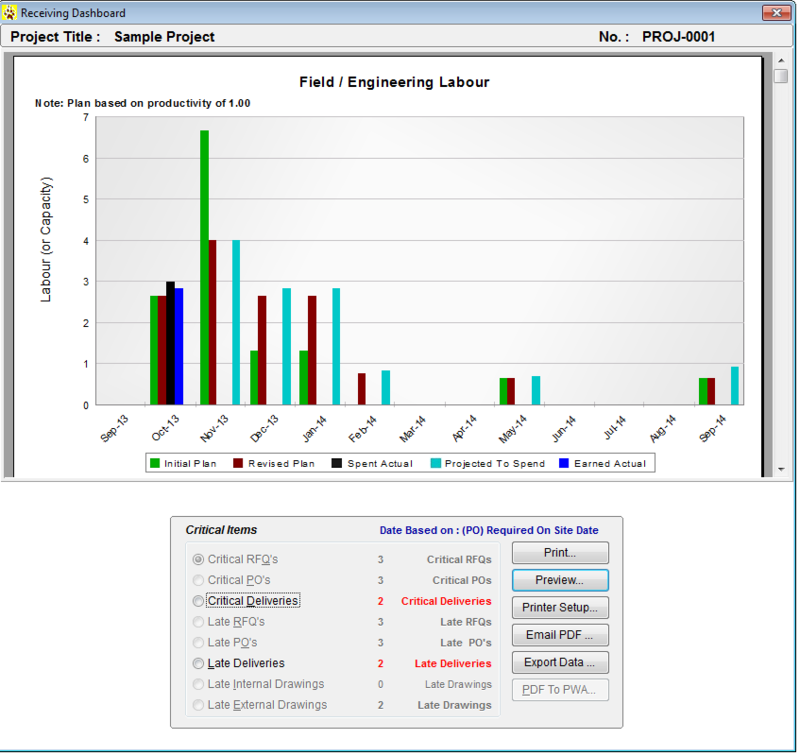 Receiving Materials and Services is a pivotal integrated feature set within OnTrackPM. The powerful capabilities bring commitments and accruals together, then feed critical real-time data to the planning, finance, cost control and construction functions, thereby enabling them to perform with maximum productivity and efficiency. OnTrackPM is the ultimate material and service control solution. Based on the issued POs and contracts, OnTrackPM allows users to record the pertinent PO data by each item received, providing the critical details of each item’s condition, where it is stored, to whom it was transferred and whether it was damaged. 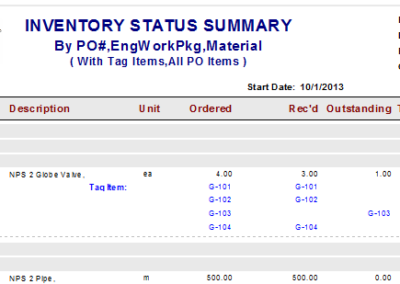 Any critical or late items are automatically reported and the available float calculated for items not yet received. 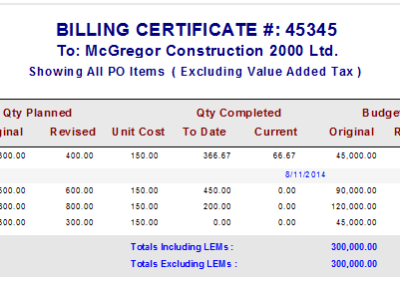 For contractors, the percentage completion based on metrics is recorded in the system and a billing certificate provided to the contractor for attachment to their progress invoices. 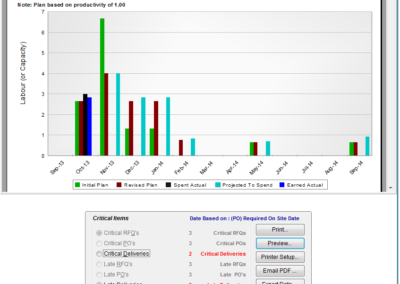 OnTrackPM lets you find the needle in the haystack – in fact, any needle in any haystack or field. It eliminates lost time due to material shortages or late deliveries. Best of all, you will always know the actual progress before you pay any progress bills. OnTrackPM raises your management and labour productivity and project profitability by giving you direct, real-time insight into the exact status of every PO and contract pay item.